for your commitment of time, intellectual and the professional risk involved in sharing your work with local peers, not only at our interdisciplinary collaborative dinner but also at the open houses, like the one coming up @ Dr. Ben Gonzolez's office in May! 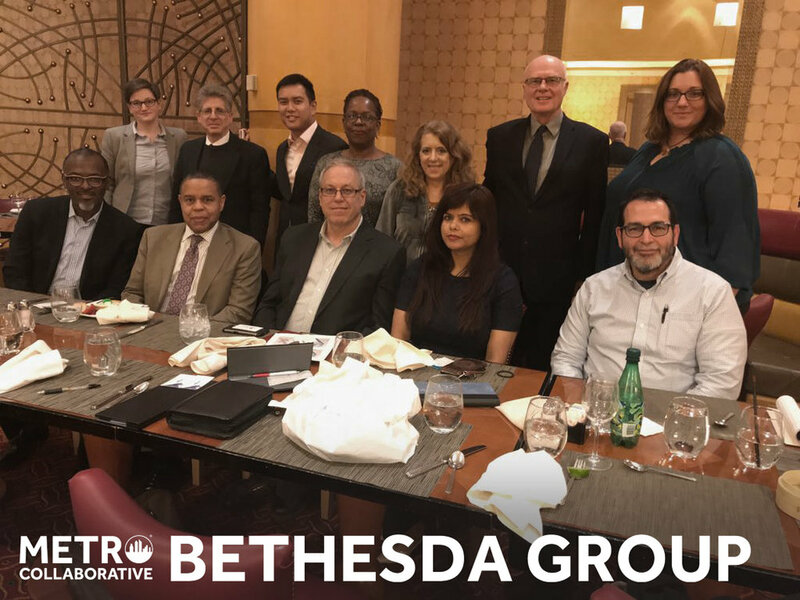 Metro Collaborative’s original Bethesda Group dined @ The Marriot Convention Center, Rockville, MD, March 5th with innovators from throughout Greater DC, having meaningful and productive exchanges. Everyone recharged and found balance in supporting each other seeking collaboration & collaborative care. Each presented their vision, including techniques for testing and treatment to the discerning community. These mini TED talks, defining the applicable nuances of health and wellness that is sometimes outside what medical insurance covers, for various conditions and stresses. before and after the event, diad conversations, mutual support our collaborative care developed also an ability to communicate more empathetically. Usually, Metro Collaborative members speak to the group extemporaneously. In this spirit, listening informs speaking for clearer perspectives and perceptions, enabling cross-referrals. The Q & A after each presentation deepens things further still. This nuanced practice of active communal communication is at the core of a more functional and powerful level of professional care.